Increasingly, U.S. researchers in industry, academia and government are playing it safe. The kind of freewheeling basic research that spawned new industries€¦quot;from genetic engineering and the integrated circuit to wireless telephony and e-commerce€¦quot;is in serious decline. Industrial basic research has failed to demonstrate a return on investment that satisfies the ravenous appetite of Wall Street for quarterly earnings growth. So companies have increasingly directed capital to applied research and development, rather than basic invention and innovation. This is no secret. But what is less well known is that university basic research has withered in many important fields, especially in the physical and information sciences, and engineering. The federal budget deficit is likely to stagnate recent growth in funding medical research. In short, we are losing our collective will to fund basic science. When the visible fruits of these investments may not pay off for 20 years or more, we tend to forget why we need to make these investments in the first place. These days, shareholders keep stock only about eight months. Is it any wonder that investors have no interest in backing basic research for the long term? The Department of Defense basic research budget, once the major source of funding for basic research, has been shrinking for more than two decades. We can credit the DOD’s unique funding agency€¦quot;the Defense Advanced Research Projects Agency (DARPA)€¦quot;with creating entire industries in which the U.S. is dominant today such as semiconductors, software, materials sciences and computer networking. Companies such as Sun Microsystems and Cisco Systems would not exist were it not for DOD-supported research conducted at Stanford University more than 25 years ago on the DARPA-net, the precursor to the modern day Internet. As I see it, the No. 1 priority for the U.S. has to be to get back our spirit of innovation. To innovate, we need a cadre of talented scientists and engineers and an environment that supports the funding of high-risk ideas. Right now, both of these vital ingredients are in decline. 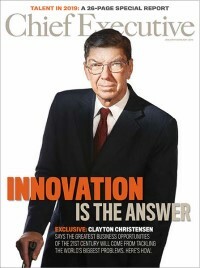 Yet innovation is more important than ever to assure our position in the increasingly competitive global marketplace. When countries such as India and China can provide so much cheap labor, it should be obvious that our only competitive advantage is good old-fashioned American ingenuity. Put away the shackles of short-term profitability. Remember “patient capital?” We need to resurrect it and can start by offering enhanced R&D tax credits for basic research. And why not tax short-term capital gains for all investors, including pension funds and endowments to encourage long-term investment? Provide scholarships, not simply loans, for science and technology majors. We should fully fund undergrads and graduate students who study in technical fields. Provide modest financial incentives to high school math and science teachers whose students pass advanced placement exams. This concept has been shown to work, and it wouldn’t cost the country very much to stimulate teachers toward excellence in this area. We should also offer students a modest financial reward for passing the AP test: pay for performance at its best. Ramp up the federal spending for basic research. We were once expert at developing “the next new thing,” but we have slowly drifted away from our strategic advantage. Let’s get back on track, and do it now. I suggest we start with a modern-day “man on the moon” project: Develop efficient alternatives to fossil-based fuel sources. The knowledge we possess today won’t punch our ticket to the new world economy of the future. This is a high-risk flight, with no discount fares. The alternative is to slip into economic irrelevance. We need to ask: Where are we aiming? What destination will we choose? William R. Brody is president of Johns Hopkins University, the co-founder of three medical device companies and co-chair of the Council on Competitiveness’s National Innovation Initiative.